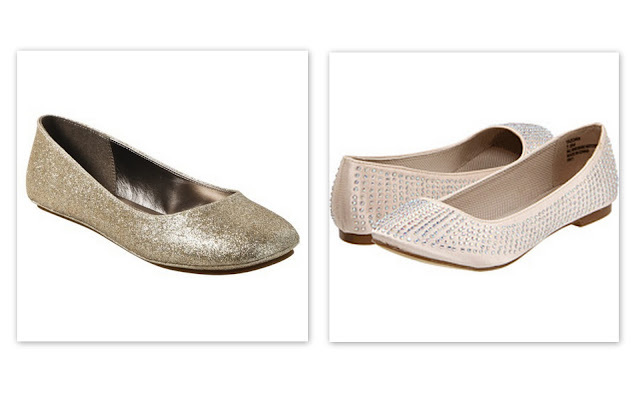 I'm always on the prowl for the perfect pair of flats from the plain vanilla to more fun styles with glitter or prints! Sometimes a heel isn't always practical so you should have some fun flats in your armory to add a little sparkle to your outfits! Even if you go with the plain jane, black or brown, there are millions of little additions that can take them from dull to chic. Like the skull and crossbones on the Jon Joseph flat or the studded details on the Steve Madden flat. Other fun standouts are jewels, appliques, glitter, and rhinestones! 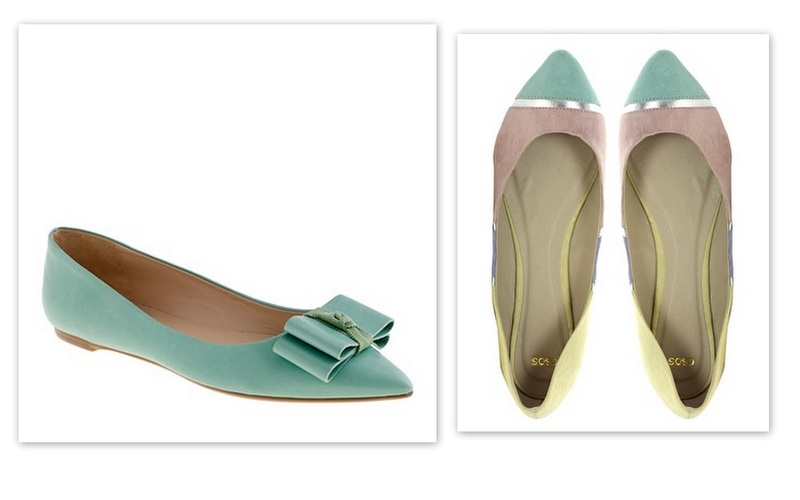 Pastels and Neons are also making a big splash for Spring, Summer, and Fall! Last, but not least, patterns and stripes are a great way to up your outfit "ante"! You can wear muted colors or wear pattern on pattern---either is sure to look amazing! 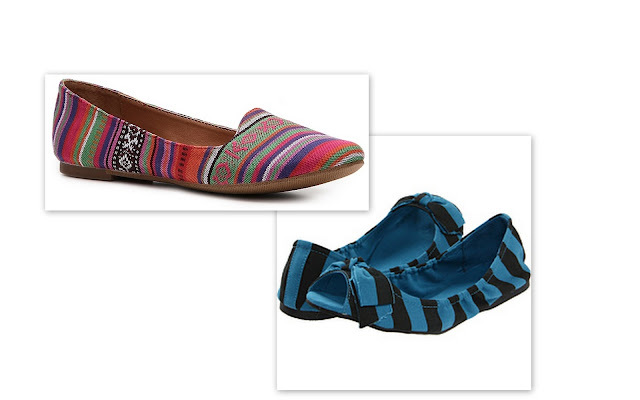 Those colorblock flats from ASOS are supercute! I know right! And they aren't that expensive compared to the JCrew flats! Might have to snag me a pair! I want all of these!!! 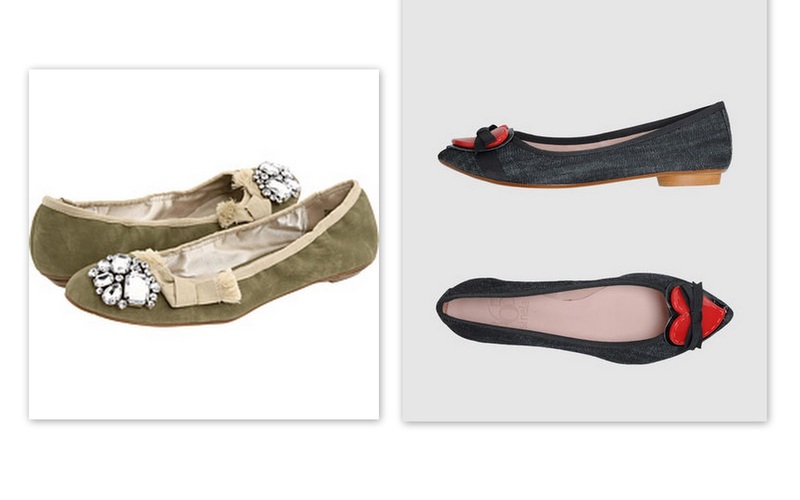 I need to refresh my flats collection. Very inspiring.